This is one of the major sites of Sikh pilgrimage. The Sikh Guru Shri Ram Rai was ordered by Aurangzeb to leave the mughul dominions. The Guru, along with his followers, camped here and since then the town has grown into today’s Dehradun. The informative museum and the botanical garden are the main attractions of this institute. 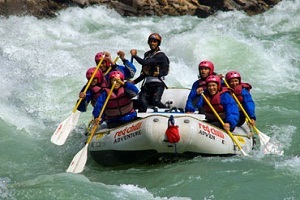 The institute is included in all the tour packages that have Dehradun as a destination in their itinerary. The name ‘Sahastradhara’ means the site of ‘thousand springs’. Situated near Rajpur Village, approximately 16 km from the major township of Dehradun, it is a very popular picnic spot. The place becomes more attractive during rainy season, when there is abundance of water in the springs. The water of sulphur spring is assumed to have some medicinal properties that can help cure skin ailments. Gun hill is the second highest point in Mussoorie it is also known as picnic spot for the locals. From this points, Mussoorie appears to be changing colors in every minute. It looks amazing from here. This is also known as Botanical Gardens of Mussoorie were established by geologist Dr. H.Fackner in the last century..
Kempty fall is just 12 kms down from Mussoorie on Mussoorie – Dehradun midway ,the beautiful falls were declared as a tourist destination by John Mekinan after after 1835.The name Kempty is derived from ‘Camp – tea’, as the Britishers would organise their tea parties here. Past Kempty Fall, 12 – km downhill.